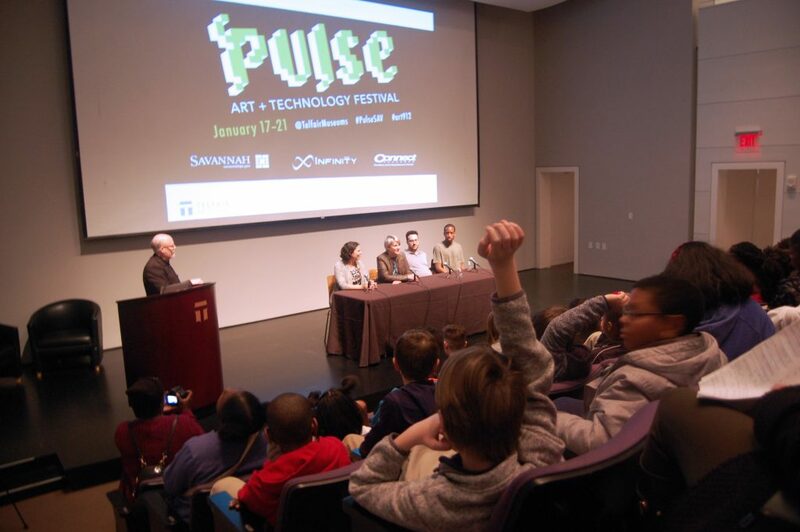 Telfair Museums’ PULSE Art + Technology Festival is back! Enjoy the fun and quirky world of award-winning videogame designer Keita Takahashi, an evening exploring the future of design, a showcase of Savannah-made videogames, video installations, youth workshops, lectures, a family day, and a performance by the inimitable virtuoso of the “magic pipe,” That 1 Guy. Legendary videogame director and designer Keita Takahashi, initially trained as an artist, created the 2004 hit game Katamari Damacy. The iconic game won awards, spawned sequels, influenced popular culture, and was one of the first videogames collected by the Museum of Modern Art. 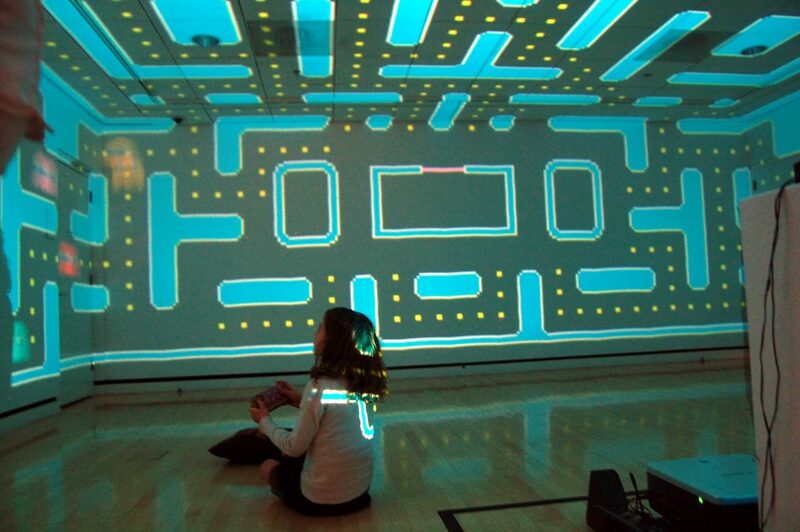 The exhibition features Takahashi’s visual art and playable versions of all of his games. PULSE Art + Technology Festival is free* to museum members, students with valid ID, or with museum admission. *Does not include opening lecture and reception on January 23 which are free to museum members or $8 for non-members. Projection by John Colette during Telfair's 2018 PULSE Festival. Child with 3D Pac Man from a past PULSE Festival. Enjoy a selection of fun, quirky and unusual games made in Savannah! Click on each featured game below to learn more about it. Made in SCAD’s Interactive Design and Game Development program, this unusual game allows you to play as a sentient palm tree. 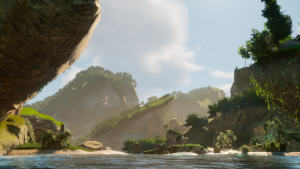 Launch coconuts to defeat enemies or grow in a new location, and bend to dodge projectiles. Every day is a wonderful day for invertebrates! 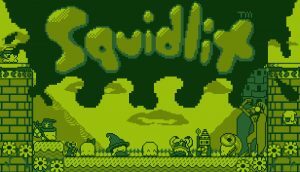 This cute game lovingly recreates the look, functions, actions, and sounds of vintage Game Boy games. 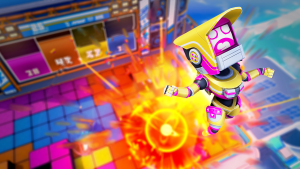 Described as a “local multiplayer game of competitive territorial mayhem,” this game boasts beautiful graphics and exciting game play as you and other bots use the boombox to smash opponents into nuts and bolts and dominate the arena. Vacancy takes place within a hotel that you are trying to escape via a vintage radio that allows you to travel to parallel-dimension versions of the hotel and solve puzzles. This tabletop 2-D strumming game features guitar strings stretched over a screen to control input. The game provides an easy to memorize color code system and relies on ambidex­trous coordination to challenge the user. Recalling early videogames like Pong and Missile Command, this new project takes the unconventional approach of using three lasers powered by servo motors to create the game’s graphics during play. All PULSE events are located in the Jepson Center unless otherwise noted. These events are free to students; advance registration is required. This event is full! Teachers and group leaders please email Abigail Stevens at stevensa@telfair.org to be added to the waitlist. Learn about STEAM careers from experts who will give short presentations on their current projects and answer questions from students. SuAnne Fu is Chair of Interactive Design and Game Development at the Savannah College of Art and Design and co-founder of VR developers Task Creatives. Chris Nusbaum, a simulation engineer at Gulfstream Aerospace will discuss the process of creating the Virtual Flight Deck immersive environment. Christine Wacta, Professor of Architecture at SCAD, is at the forefront of GeoDesign and technologies that will influence the city planning of the future. Teachers and group leaders please RSVP to Abigail Stevens at stevensa@telfair.org. Join Senior Curator of Education and PULSE Curator Harry DeLorme for a tour of this year’s exhibition. Please note that space is limited. Please RSVP to Abigail Stevens at stevensa@telfair.org. Join Senior Curator of Education and PULSE Curator Harry DeLorme for a tour of this year’s exhibition. Please note that space is limited. Please RSVP to Abigail Stevens at stevensa@telfair.org. PULSE daytime programs are free of charge. Investment is provided by the City of Savannah, the Rotary Club of Skidaway Island, and generous donors. In-kind support has been provided by BANDAI NAMCO Entertainment Inc., Funomena, Annapurna Interactive, the Elumenati, and Panic, Inc.
PULSE 2019 kicks off with a conversation with renowned game designer Keita Takahashi, looking at his path from art to videogames, his unorthodox approach, and the intent underlying his games. This discussion will be followed by a large-scale projection by media artist John Colette. Admission to this opening lecture and reception is free to museum members, non-member tickets cost $8. Local videogame developers featured in the showcase will give short presentations on their work. Free and open to the public. Presented by Vice Media and W Projects, 7pm site-specific projection installation by John Colette. Designing the Future will feature documentary shorts highlighting innovations from seed vaults to robotic fish, highlighting the importance of engineering fields and the effect they will have on our present and future lives. In addition to the films, this immersive evening will include speakers and a highly interactive reception. Supporting and participating organizations in this year’s event include Gulfstream Aerospace, AIA Savannah, the Society of Women Engineers, Tharpe Engineering Group, Barge Design Solutions, and Thomas & Hutton. Videos screened courtesy of VICE Media. Free and open to the public. In keeping with the inventive spirit of PULSE, the museum presents a performance by That1Guy as part of our Chatham County Free Family Day. 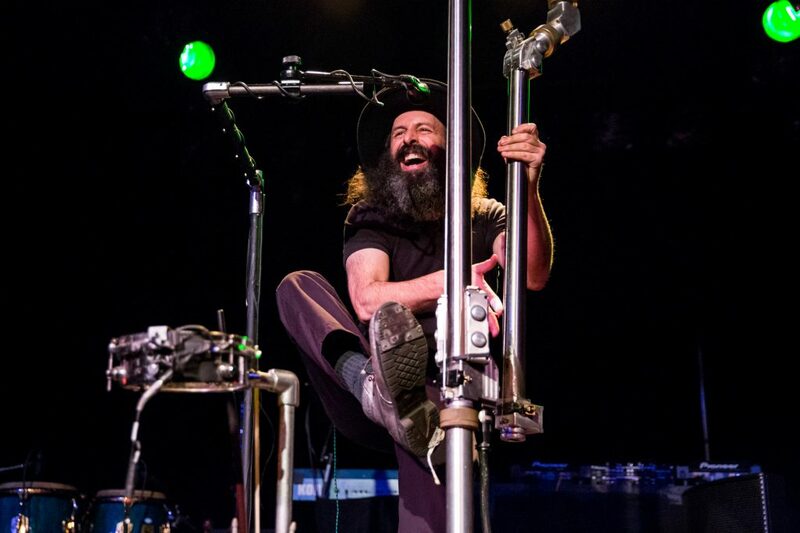 With an extensive and amazing track record of unique and imaginative performances featuring his curious instrument and copious amounts of originality, Mike Silverman, a/k/a That1Guy, has set himself apart as a true one-of-a-kind talent. The artist who trained in classical bass is known worldwide for his performances on an instrument of his own design called the Magic Pipe, “a monstrosity of metal, strings, and electronics (that) facilitates the dynamic live creation of music and magic.” He has been a consistent favorite at festivals including Electric Forest, All Good Music Festival, High Sierra Music Festival, Summer Meltdown, Montreal Jazz Festival, Edinburgh Fringe Festival and many more. His collaboration and multiple tours with Buckethead performing as The Frankenstein Brothers has further cemented his reputation as a creative visionary. Performance recommended for ages 13 and older. Admission is free for museum members, Chatham County residents, and local students. Proof of residency/enrollment is required. Workshops are free by advance registration. Learn about coding and game design by playing a game. Both workshops are full. To be added to the waitlist, please email Rachel Stayer at stayerr@telfair.org. This workshop is full! To be added to the waitlist please email Rachel Stayer at stayerr@telfair.org. Learn to make a Zoetrope, an early mechanical animation device. To register, click below or email Rachel Stayer at stayerr@telfair.org. Media artist John Colette will create large-scale projections visible from inside and outside the Jepson Center for four evenings beginning January 24. 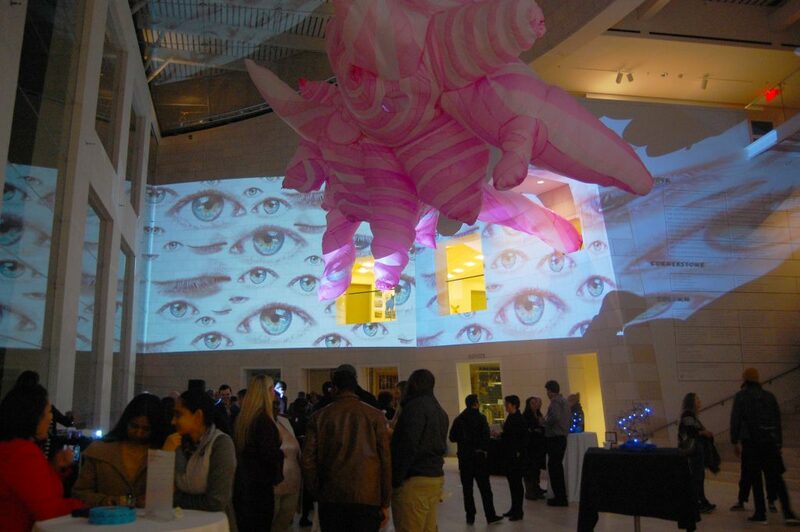 See the installation in full on the evening of January 25 during the Designing the Future event. Investment is provided by the City of Savannah, the Rotary Club of Skidaway Island, Infinity Inc., and generous donors. In-kind support provided by BANDAI NAMCO Entertainment Inc., Funomena, Annapurna Interactive, and the Elumenati.